New Ducks Big and Small! 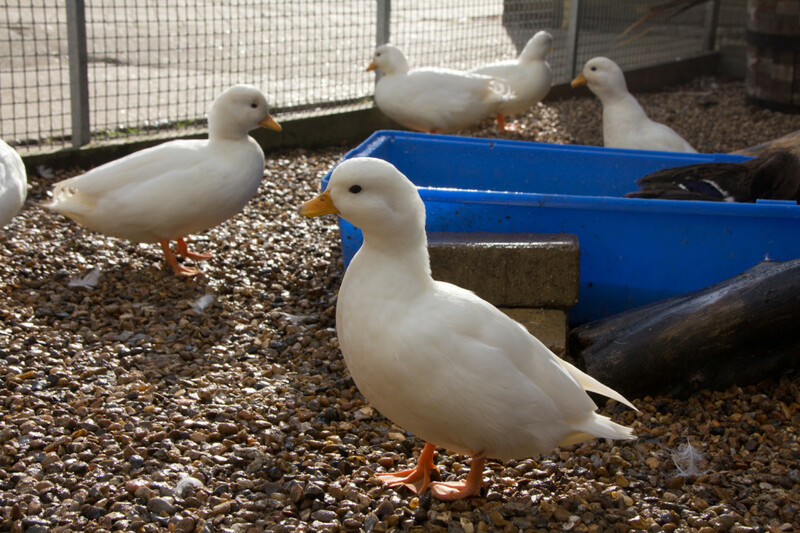 In addition to our striking white Aylesbury ducks, we’ve also welcomed new waterfowl on our duck pond. One breed are rather large and the other rather small! 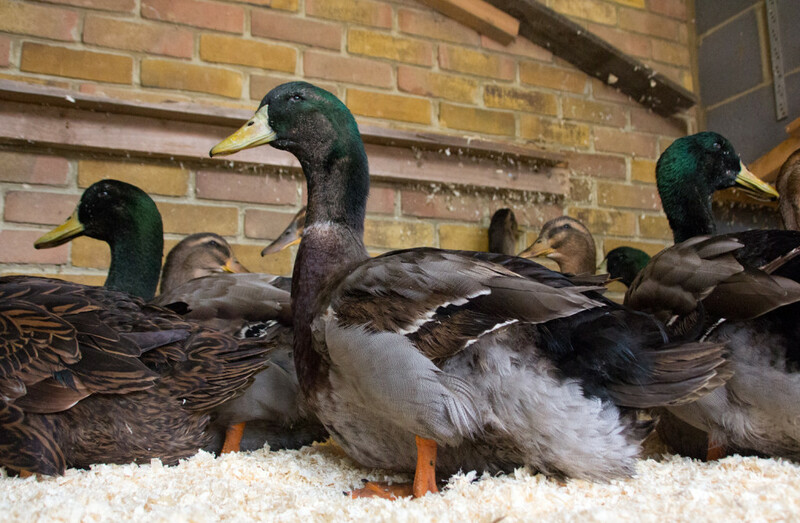 The large, heavy set ducks with mallard-like markings are our Rouen ducks. This is a very large imposing breed which looks like an oversized mallard. Female ducks are brown with black lacing on the outside of the feathers and males (drakes) have a green head, claret bib and grey body. The Rouen originate in from France where they were used as a meat bird and crossed with the Muscovy to produce the Barbary duck. They take 2 yrs to reach their full size of 12 lbs, and because of this they are now kept more for showing. Exhibition females only lay between 100-150 eggs per year. They are a docile breed and tame reasonably easily and due to their size they cannot fly. The other duck breed now on the ponds are diminutive, particularly in comparison to the weight Rouen. These are call ducks. A call duck drake weighs only about half a kilogram! Despite their small size, they have a very loud, high-pitched call. These birds were originally bred to lure wild ducks into traps during hunts. The call duck has been in Britain since the 1850s and in addition to their small size have a distinctively round forehead and broad, short bill. Find out more about the breed from the Call Duck Association UK. To find out more about any of our animals, visit the animal pages of our website. In the video below, you can see the new ducks on their pond and enjoying the falling leaves. You’ll also hear the unmistakable sound of the call ducks. They are extremely loud, especially considering their small size! Mudchute Park & Farm. One of the largest city farms in London with 32 acres of countryside in the middle of the Isle of Dogs. Our Tamworth Piglets Out and About! A New Enclosure for our Ducks! Welcome to our Middle White Piglets! First 2017 Showing Successes for Mudchute! A New Arena for Mudchute Equestrian Centre! New Golden Girls in the Goat Pen! Large Black and Gorgeous! Meet the piglets! Christmas Craft + Green Care in the New Year! Beginning to Look a Lot like Christmas! Thank you to our Wonderful Volunteers! A Place to Rest Your Legs and Take in the View! A New Addition to our Farm Team! Fun from the 2016 Mudchute Fun Dog Show! A Visit from the Dentist! Thank You for Making Our 2016 Summer Party a Success! Join us for the 2016 Mudchute Summer Party! The Arrival of Autumn means Tasty Leaves! A Great Summer for Minibeasts! Meet Our New Tamworth Piglets! Do You Know Your Llamas from Your Alpacas? The 2015 Mudchute Summer Party as it happened! One Whitefaced Lamb and more on the way! A Thank You to One Housing Group! Just Another Busy Week at Mudchute! A New Ram in Town! The Christmas Trees are Here! Spinning Wool and Fibre into Yarn! Could you be our Volunteer Coordinator? Celebrating a New Mudchute Shop! An Army of Volunteers from Valero! Welcome to Our New Bees! The 2014 Mudchute Summer Banquet! Help Us Choose our New Logo! A New Tractor for Mudchute! Frogs Love the Restored Wetlands! A New Orchard for Mudchute! Mudchute Wool, from sheep to shop! Wet Weather and an Appeal for Aggregate! Shout out for wood donations! The Waterfowl are Back on Their Pond! New Faces in Pets Corner! Tiny Golden Pheasant Chicks Arrive! Ack Ack Launch & Celebrations! Ack Ack Gun Launch Banquet and Street Party! 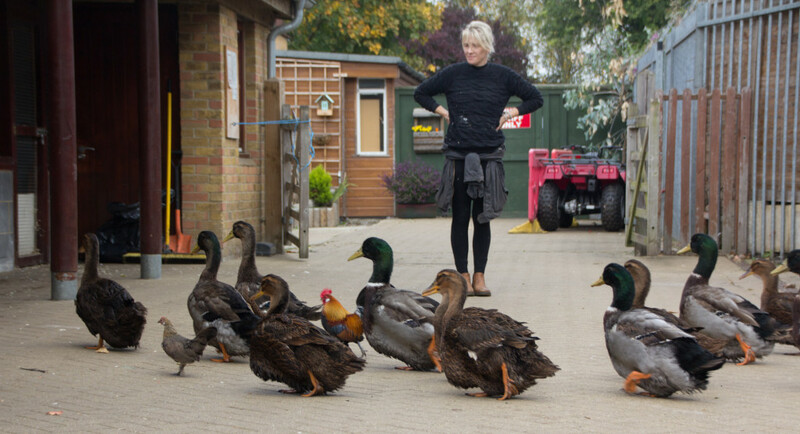 Welcome to the brand new Mudchute Farm blog! We are Mudchute Park & Farm, the largest city farm in London with 32 acres of countryside in the middle of the Isle of Dogs. Offering a bit of countryside in the city, we are open to the public all year free of charge.